In the morning, visit Shanghai Urban Planning Exhibition Hall, which shows the achievement of Shanghai city planning and construction, and the Shanghai World Financial Center, the highest building in Shanghai. Afternoon tour the Yuyuan Garden, one of the most famous gardens in China. Move to the clutural Silk Factory before soaking in the Bund, which is one of the most recognizable architectural symbols of Shanghai. 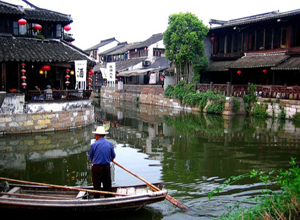 After breakfast, we are driving to Xitang, take a cruise in Xitang Ancient Water Town, where you will see the cobbled streets, old buildings, bridges arching over canals, rowing boats lingering on the river, locals singing folk songs. After breakfast, be transferred to airport and fly to your next destination.